The WealthScript code for Wealth-Lab for Ken Calhoun's "Trading Gap Reversals" technique is presented. Through parameter “sliders” at the bottom you can tune this system by modifying the parameters like gap percent, trailing stop value, and thresold for entry. 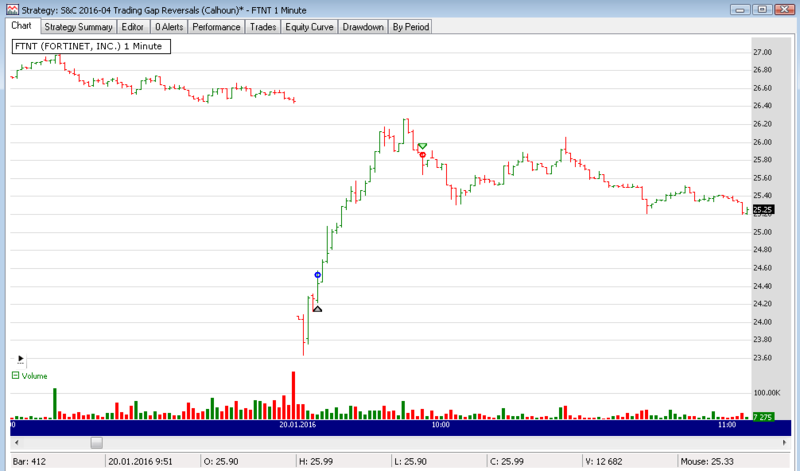 Figure 1: The example trade in FTNT (Fortinet) in January 2016. This strategy's code has been modified to trade only once a day, and exit as soon as gap is closed in addition to the other exits. It's advised that motivated users also experiment with replacing the fixed dollar variables with a fraction of ATR to make the system more adaptive. Additionally, rules can be inversed to explore the short side.